Despite often being overlooked due to the beautiful light offered by September and October, November weddings have so much to offer. We love the fading light that November brings. It gives couples the opportunity to embrace indoor venues – from the elegance and glamour of historic houses to the rustic charm of barns. This is the perfect setting for a stunning candlelit ceremony. How very Romeo and Juliet! 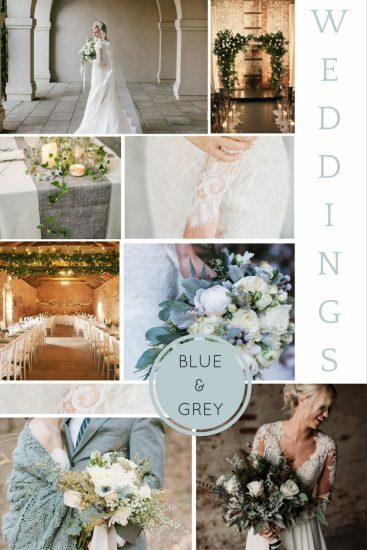 November also brings a beautiful palette of greys and blues that looks so elegant and can be used in so many aspects of the day – from the flowers to the decorations, you could even include a cosy blanket for some really wintery portraits! We also can’t get enough of the beautiful long sleeved wedding dresses that start to appear more and more this month. They are so elegant, timeless and perfectly capture the more wintery feel of the month. What is your favourite aspect of November weddings?